Friday was an odd weather day. Unfortunately, it was also the day of the Green Valley Senior Games bike race. The GV Senior Games are our version of the senior olympics – dozens of events over a two week period for seniors of all levels of age and agility. Armed with appropriate noisemakers on my new Android phone (cowbell that rings when you shake the phone, vevuzela, TdF car horn) and my camera, my goal was to stake out a good location to take a few photos and cheer on friends racing in the 12 mile event. But, the weather was truly awful. We had a huge wind (15-20mph gusting to 35 or so), which can be a cyclist’s best friend when it’s at your back. As a headwind, it nearly stopped some of the riders dead in their tracks. Really a monster wind. Dark clouds rolled in, and the smell of creosote hung heavy in the air from the morning showers. 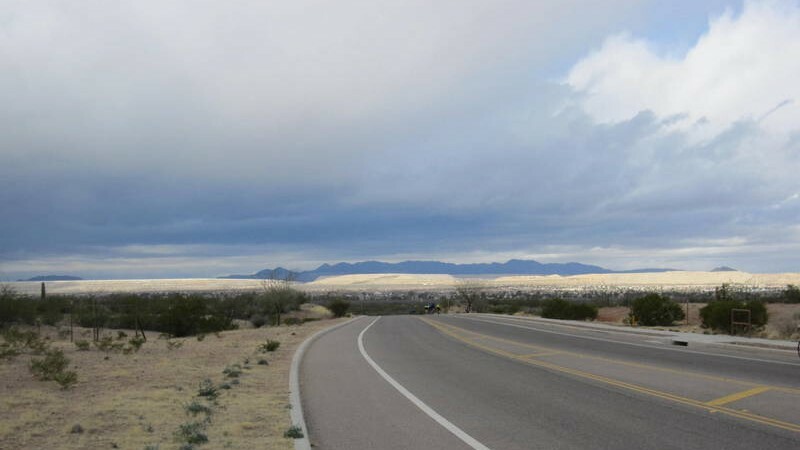 (the Arizona desert is loaded with creosote bushes – it’s a very distinctive, dry kind of smell). The weather sure took its toll on the riders – icy rain slowed any sprint finishes. All our friends finished in fine form (not sure if any were medal winners or not), but the dark, rainy day made for a few interesting photos. Sadly, the race photos stunk. 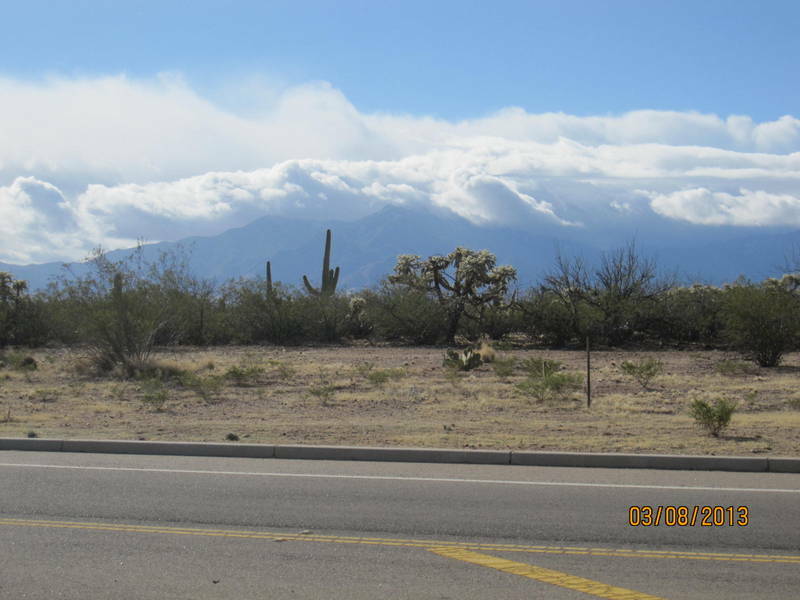 This entry was posted in Arizona, cycling, retirement and tagged Arizona, cycling, retirement, weather by Judy Crankshaw. Bookmark the permalink.